The availability of this product depends on other products; it will be available as long as the 1066 is, unless an improved enclosure is released. The 3816 Enclosure is designed to protect the Rev 1 version of the 1066 – PhidgetAdvancedServo 1-Motor while giving you access to all terminals and connectors through openings in the enclosure. 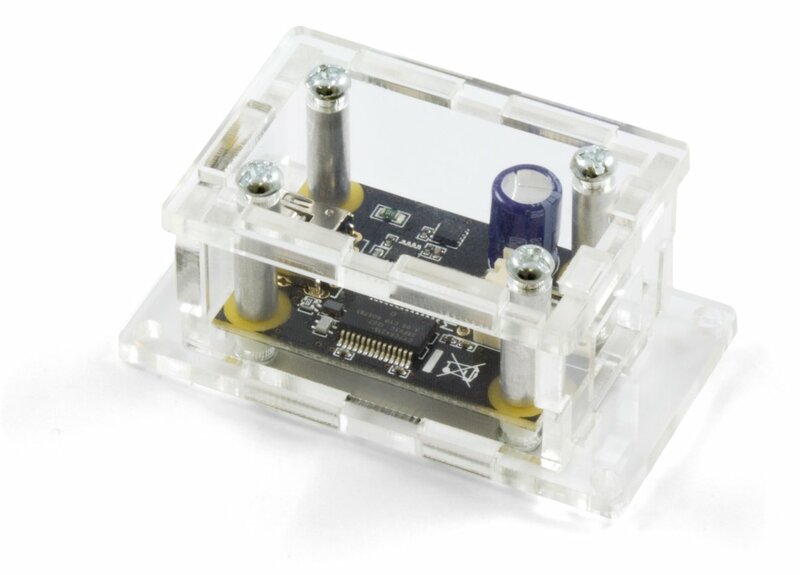 Note: The Phidget board is not included with the enclosure and must be purchased separately. Be careful when tightening the mounting screws as too much tension could crack the acrylic. This enclosure is desgined to fit the following Phidgets. See the "Resources" tab for assembly instructions.